"Today, GoPro announced that Karma will be released this holiday season." "Keep an eye out for more on the drone from GoPro." That was the entirety of GoPro's announcement regarding the delay of its upcoming video drone (called Karma) from the first half of this year to holiday time, signalling some choppy waters ahead for the action cam company. According to GoPro's first quarter financial results, revenue dropped nearly 50% compared to Q1 of last year, alongside a reversal in net income from a $16 million profit to a $107 million loss. The Verge reports that the company's stock is feeling the consequences, dropping approximately 79% over the last year. 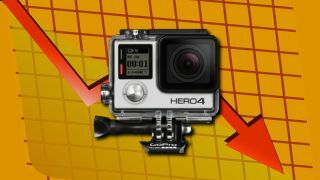 Despite these numbers, GoPro CEO Nicholas Woodman claims that "consumer demand for GoPro remains solid" and that the Karma delay is a blessing in disguise, as its sales "should now benefit from the holidays." While the company could use some good karma of its own, GoPro is also putting bets out on VR. Its Omni setup recently went up for preorder, offering a 360-degree video rig solution for £1,299.99/$1,499.99 - provided you already own six cameras. Otherwise, the price inflates to £4,199.99/$4,999.99, making it a gamble for GoPro and users alike when it launches in August, But, hey, when your company relishes in daredevilry as much as GoPro does, you're probably not one to shy away from risk.